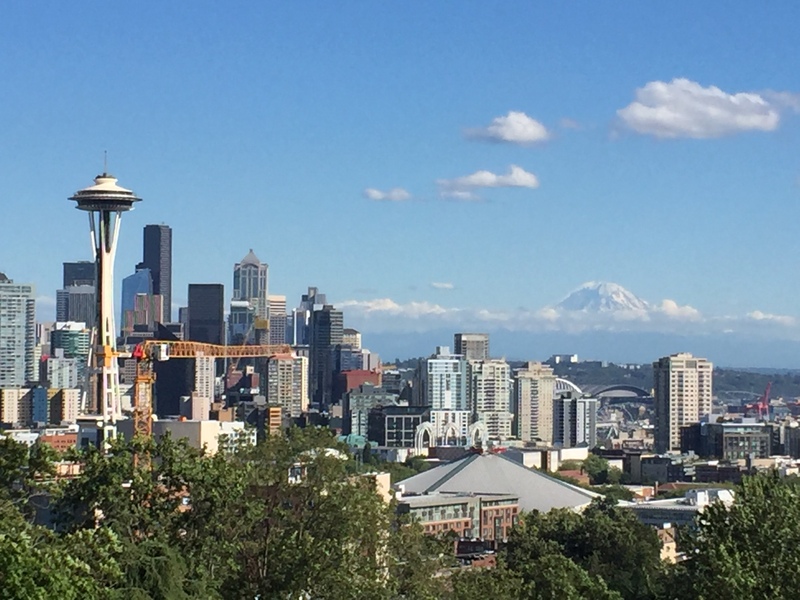 Mount Rainier and Seattle Skyline July 22 2017. Gov. John Hickenlooper today joined governors from California, Hawaii, Oregon, and Washington in signing a letter committing to upholding the standards set forth in the Clean Air and Water Acts, despite changes to federal standards in Washington D.C.
Colorado continues efforts to reduce greenhouse gas emissions as outlined by the state’s Colorado Climate Plan. Last week Colorado submitted comments pushing back on the Trump administration’s proposal to weaken federal auto standards. State agencies continue work on finalizing a low emissions vehicle plan by the end of the year.